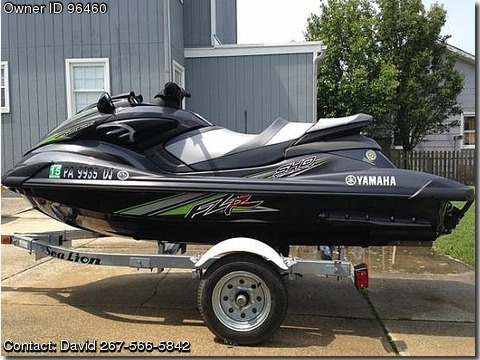 Please contact the owner @ 267-566-5842 or dave.reiff(at)gmail(dot)com.2013 Yamaha FZR and Sea Lion trailer. 1.8L Supercharged 1812cc carbon black. Customized 3-seat by Yamaha w tow hook still have 2-seat that can be reattached. Includes all accessories - 3 Yamaha neoprene life jackets, cover, bumpers, etc.